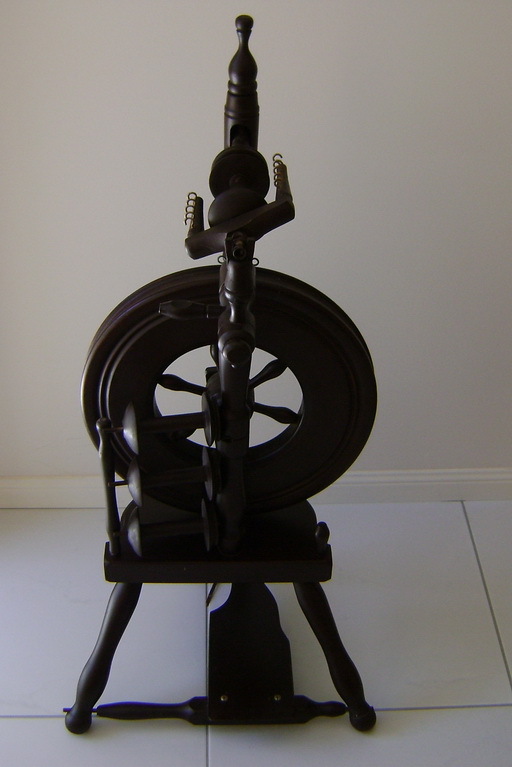 I recently purchased another spinning wheel – a Wee Peggy, made in New Zealand. That picture isn’t mine – I picked an image from the internet and give full credit to a lady named Melanie who lives in Queensland Australia. She had a better picture than I could provide. Here is her blog if you want to visit. And just yesterday I drove down to Seekonk (yes, that’s a real town – this is Massachusetts) to buy an electric spinner – the Electric Eel Wheel. Hard to call it a spinning wheel as it really is just a box. 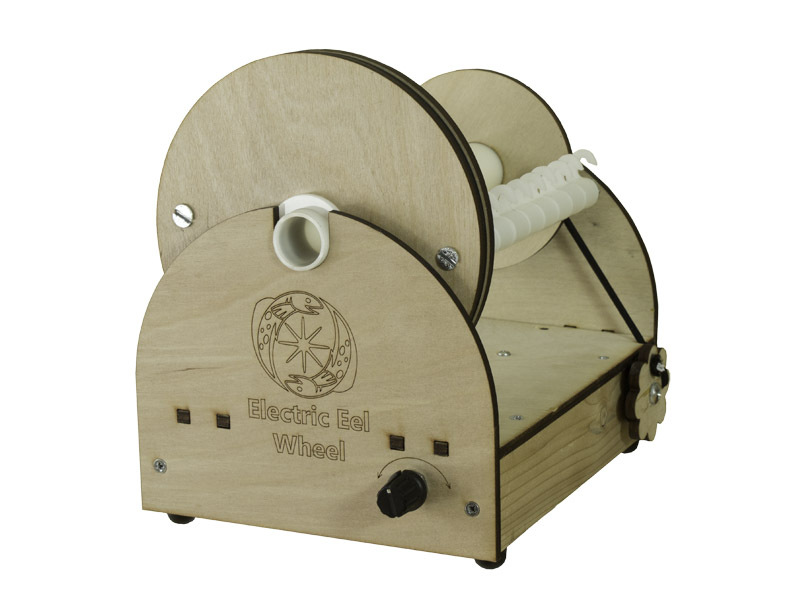 Here is a link to the website, and a picture of the wheel, linked from the website: It’s made of laser-cut plywood and is driven by an Atmel ATtiny45 microcontroller, which likely means nothing to you, but to me it means I can hack the software. I know the processor family and the program is written in C, where I claim some expertise. The Electric Eel is open source, meaning that the designer has made the plans, the code, the entire design available to the general public. He only restricts that one cannot make them to sell – he (rightfully so) reserves that for himself. I’m now up to six wheels, two looms, and an e-spinner. This was written by admin. Posted on Saturday, June 11, 2016, at 1:59 pm. Filed under Spinning and weaving. Bookmark the permalink. Follow comments here with the RSS feed. Post a comment or leave a trackback.